Aerial Cinematographer, Part 107, Local 600. Gabe De La Parra is a skilled professional aerial cinematographer and veteran pilot with a focus on cinematic camera movement and storytelling. In 2012, Gabe started flying cameras professionally using custom built remote controlled helicopters. Since then, Gabe has traveled around the world working on many projects using the latest cutting edge drone and gimbal technology. Gabe’s flying experience includes heavy-lift drones capable of lifting Alexa Mini and Red camera packages. As well as self contained systems like the DJI Inspire 2 X7. Contact us for a customized quote or if you have any questions. The x7 is an amazing camera with the ability to perfectly match the look and workflow of an Alexa Mini. When image quality cannot be compromised a heavy-lift drone can fly an Alexa Mini or RED camera package with cinema glass and FIZ control. 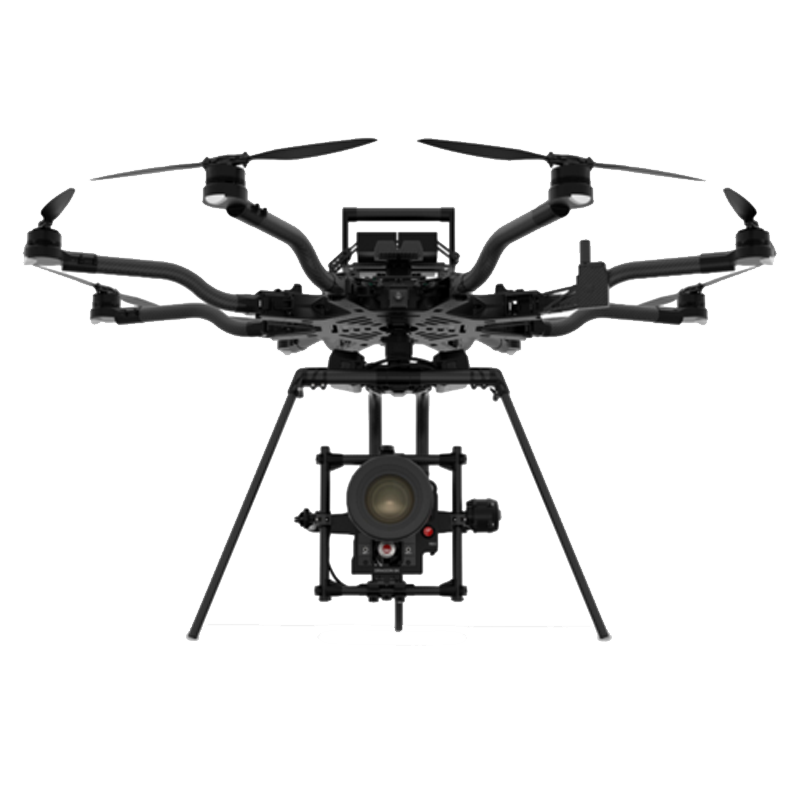 The Alta 8 carries a MōVI Pro that can be mounted underneath or on top of the drone for a variety of drone shots not possible with other systems. Red & ARRI Camera packages available.